DOWNTOWN BROOKLYN – The foundation work has begun on 9 Dekalb Avenue, a project that once completed will be Brooklyn’s tallest tower at 1,066 feet. Construction crews have been spotted on the northern edge of the site located behind the historic Dime Savings Bank, New York YIMBY reports. 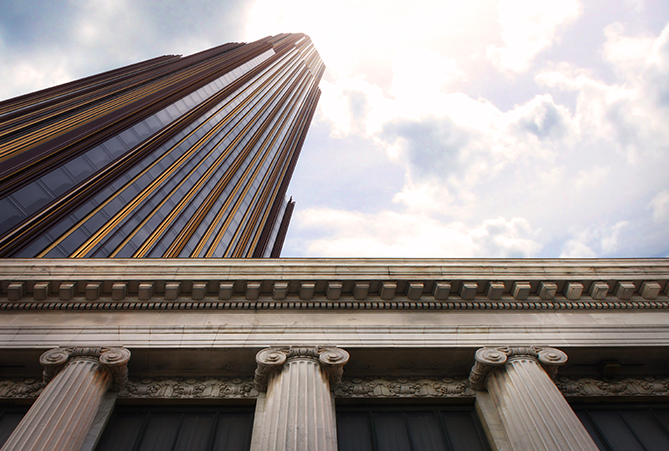 Developed by JDS Development and designed by SHoP Architects, the project will preserve parts of the landmarked banking institution and incorporate it into the base of the new supertall tower. 9 Dekalb Avenue will consist of 73 stories, 500 rental and condo units, 100,000 square feet of retail space, and a new entrance along Flatbush Avenue Extension. 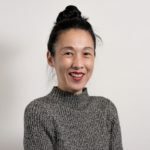 Some of the building’s amenities will include a fitness center, lounge, bicycle storage, and several outdoor spaces made possible by multiple setbacks on all sides of the building, according to YIMBY. The tower will be “clad in glass and bronze” and feature an “interlocking hexagonal design” that references “the specific geometries of the historic bank” and provides “optimal layouts and views for its 500 apartments,” according to SHoP Architects’ website. The firm was also responsible for the design of the Barclays Center and the neighboring modular building at 461 Dean Street, as well as the doughnut-shaped 325 Kent which is part of the Domino Sugar redevelopment project in Williamsburg. Both the interiors and exteriors of the 1908 Dime Savings Bank building are landmarked, according to a Brownstoner article from September 2017. The Landmarks Preservation Commission (LPC) approved the developers’ plans to partially demolish the bank to make room for the tower in 2016. LPC approval was required to remove a five-story addition constructed in 1932 in the rear of the bank to connect the historic structure to the new tower. 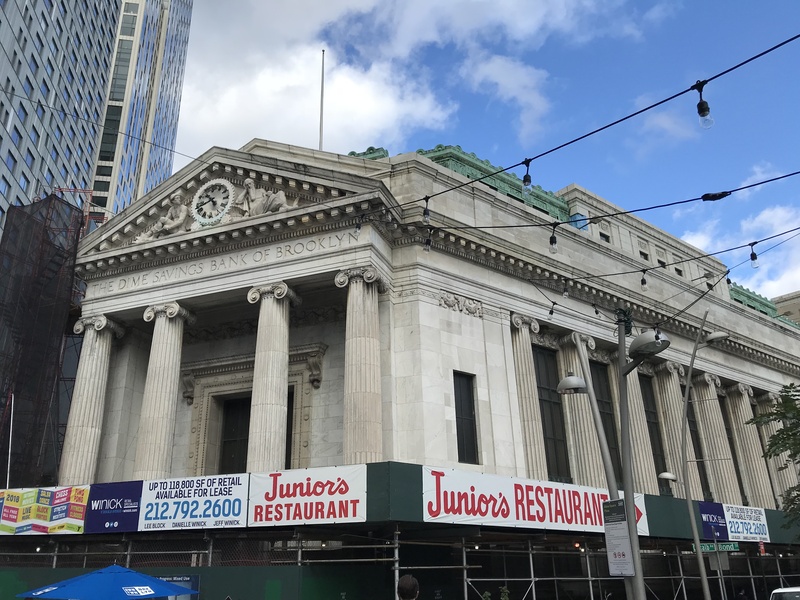 JDS Development and Chetrit Group purchased the Dime Savings Bank building and its 300,000 square feet of air rights for $90 million in December 2015. The building was last home to a JPMorgan Chase branch, according to the New York Times. The Dime Savings Bank building will be transformed into a four story retail/office space. While work on the project began in 2017, it came to a halt for months after JDS Development bought out Chetrit Group’s stake for approximately $60 million, The Real Deal reported in August. 9 Dekalb Avenue is scheduled to be completed by late 2020 or 2021.